For many international students, moving to Leiden can be the first experience of a Northern European Winter. Cold, wet, dark, windy, and long are the defining features that stick in many student minds. Despite this, the city is still beautiful and the weather can be a good excuse to get out all the layers and indulge in hot chocolate (not that you need an excuse!). It’s hot chocolate season! Extra cream and marshmallows please. Below are some tips for making the most of the cold weather, from a lover of winter (with one Dutch winter under the belt). I hope they’re helpful and feel free to share your own tips and hacks in the comments! Layers, and particularly thermals are key to making it through winter comfortably. A pair of thermal leggings or tights can be picked up from Hema for under 15 euro, and when layered under a pair of jeans, can help make you nice and warm. A useful concept is that of overlapping layers, eg, socks under leggings with jeans on top. It’s important to make sure there are no gaps where the wind can slip in while cycling or a draft while studying. Scarves and gloves are also essential, with waterproof or lined gloves a good investment. This is a good scarf and hat combination. As suggested by the title, alongside thermals, a thermos flask is a winter essential! These can hold tea or some soup and keep them warm throughout your day. This is a good call for the student on a budget as you can avoid having to pick up tea whilst in the library or faculty, freeing up money for a nice toastie. If you’re loyal to a specific café, another good purchase is a reusable coffee cup, reducing your paper waste and allowing you to take your favourite coffee with you on your day. Student housing isn’t always the warmest, however it’s definitely worthwhile investing a little to try make it warmer. Put the heating on in the evening, and consider getting a damp catcher if your room feels a little damp. Hopefully your room isn’t quite this small, but it is undeniably cosy looking! If one room in particular is chilly (especially if it’s your bedroom), a small electric radiator can be purchased on Bol.com. Or, for extra bed time comfort, an electric blanket or hot water bottle, combined with a big, soft blanket is excellent! A large soft jumper can also be a good purchase, especially for when you’re working at home, as can warm slippers. The aesthetics of a room can also help it feel cosy and warm during the winter months. Make sure you have sufficient lamps to light your room, and consider candles (LED ones are cute if you can’t have flames) or fairy lights to add warm light. This is adorable, and oh so instagrammable. Hopefully these tips will help you have a lovely cosy winter, and if you’re a warm weather person, don’t despair! Spring is just around the corner with spring flowers beginning to emerge. 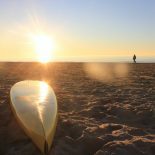 This entry was posted on January 31, 2019 by Sophie Jorgensen-Rideout in Leisure, Living in Holland, Practical Stuff, Sophie, Student Life and tagged advice, Housing, snow, Thermals, weather, Winter.